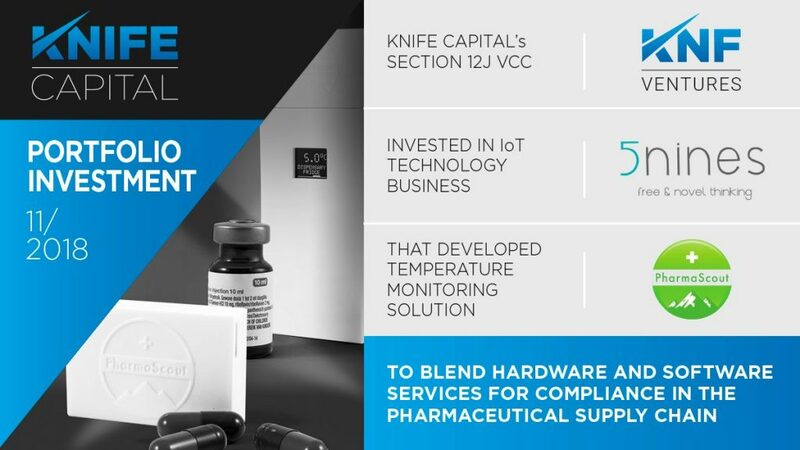 Knife’s investment in PharmaScout will accelerate product rollout to pharmacies, medical practitioners and pharmaceutical warehouses and enhance new product development for the international market. [7 November 2018, Cape Town] PharmaScout, a single point solution developed by Cape Town based Internet of Things (“IoT”) business 5nines Technologies, overcomes a litany of hurdles faced by healthcare professionals wishing to mitigate legal risk and meet the compulsory safety and quality standards of stored temperature sensitive pharmaceutical products. 5nines/ PharmaScout has been angel-funded to date, but this week received an undisclosed Series A funding round from Knife Capital – a leading venture capital firm with offices in Cape Town and London. Knife Capital invests via a consortium of funding partnerships, including SARS section 12J Venture Capital Company KNF Ventures and select family offices. The funding will be applied to accelerate product rollout to pharmacies, medical practitioners and pharmaceutical warehouses and enhance new product development for the international market. PharmaScout already gained significant traction with blue chip customers such as Clicks and Alpha Pharm, while conducting pilots with local hospital groups. They have also commenced R&D activities to provide cold chain management products applicable to the retail, restaurant and hospitality industries. In 2015 the South African Pharmacy Act was amended to require that anyone storing, distributing or administering thermolabile pharmaceutical products must use appropriate storage facilities, electronic temperature monitoring instruments and conduct regular checks, including annual temperature mapping of storage areas and calibration of temperature sampling equipment. Unfortunately, most domestic fridges fail to meet storage standards and specially designed laboratory fridges are impractical for small medical practices. To solve this challenge, PharmaScout recently launched their own range of refrigerators designed for storing pharmaceutical products in a compliant way. 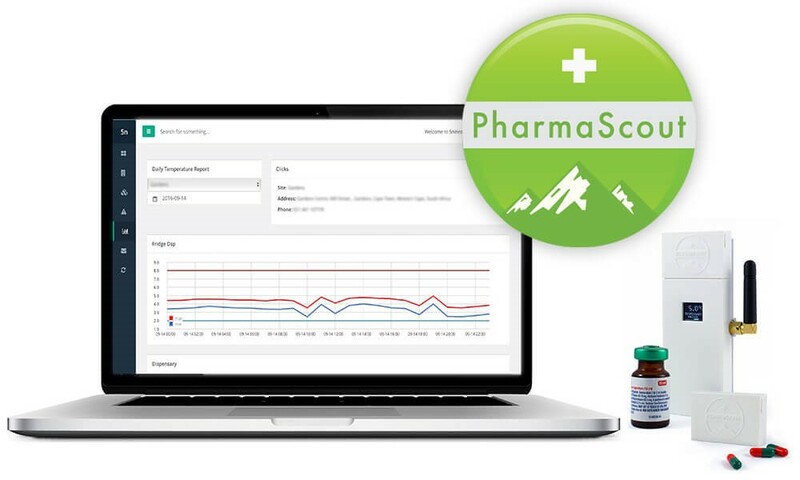 PharmaScout owns and controls the entire pharmaceutical cold-chain ecosystem, offering healthcare professionals peace of mind by providing the tools and guidance to conveniently achieve best practices and compliance with mandatory temperature management requirements. “There are few pharmaceutical quality and safety issues more important than those relating to the storage and handling of temperature sensitive products. PharmaScout and its related product suite deliver the most convenient and cost-effective way of meeting the professional responsibility & legal burden of temperature monitoring compliance in South Africa,” says Doug Siepman, CEO and Co-Founder of 5nines. “We are delighted to partner with Knife Capital at this stage of our growth journey. The team brings a wealth of experience and market access networks to the business that we are already starting to tap,” said Siepman. PharmaScout addresses the core pillars of a temperature compliance solution: appropriate hardware and software elements, temperature mapping of storage areas including refrigerators, periodic calibration of the temperature measuring equipment and continuous monitoring that includes alarms, notifications, data storage & daily reporting. These capabilities open up local and international growth opportunities and partnership channels in different cold chain verticals.